Sol and I had taken a solo trip to Austin two weeks before Laura went with us for Gilmore-palooza, but I failed to take any pictures of anything at all the first time. I was committed to at least getting a few on our second adventure so I could write about it. Because what good is a post with no pictures? Basically (on both trips) we ate. As much as we could. We started at Hop Doddy--a very popular burger place where we waited in a very long line for very good burgers. It was probably worth it. 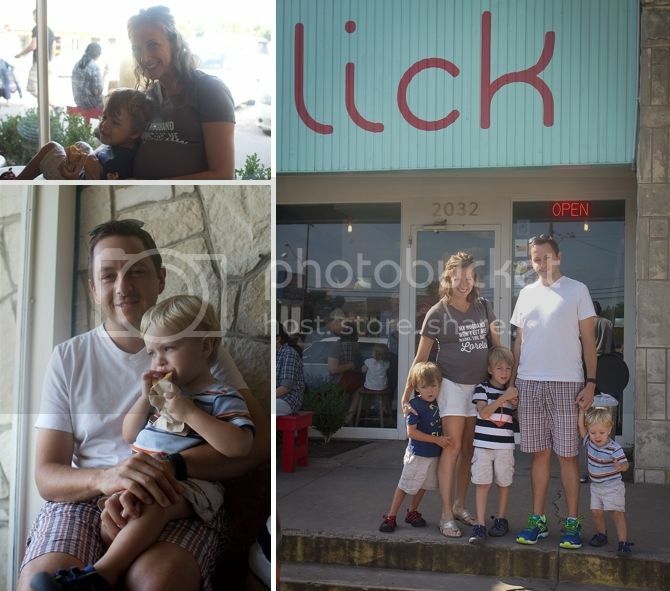 Then we went to Lick--an ice cream place that will probably kill you with its fat content. Like dead. It was DEFINITELY worth it. We got to wait in a long line there too. If it doesn't have a line--you probably shouldn't eat there. 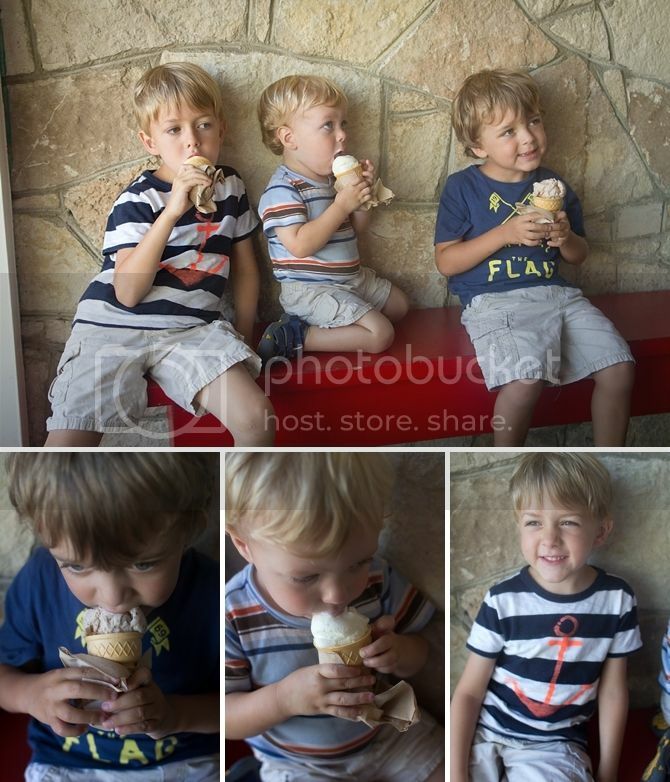 We ate fancy flavors like Texas Au Lait and Dark Chocolate with Olive Oil and Sea Salt. Yum. Laura had a super early flight the next morning, so we headed out a bit later for breakfast at Kerbey Lane. We all had great pancakes and creative breakfast food. Sol woke up the next weekend and said he wanted to go get breakfast tacos--and I had to remind him that we live in Beaumont and there are very limited cool food options. Like there are 5 total. 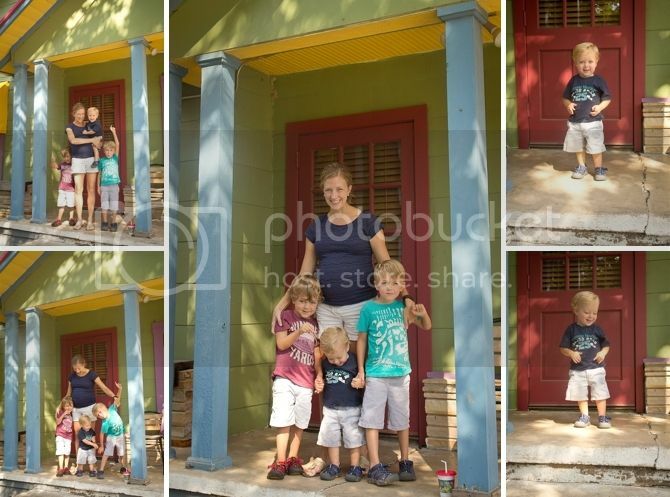 Finley really wanted to take pictures in front of the restaurant--he said it looked like UP. And as we were trying to leave, Keaton climbed back up and posed until I took his picture. Silly guy. Our last stops were at Texas landmarks. 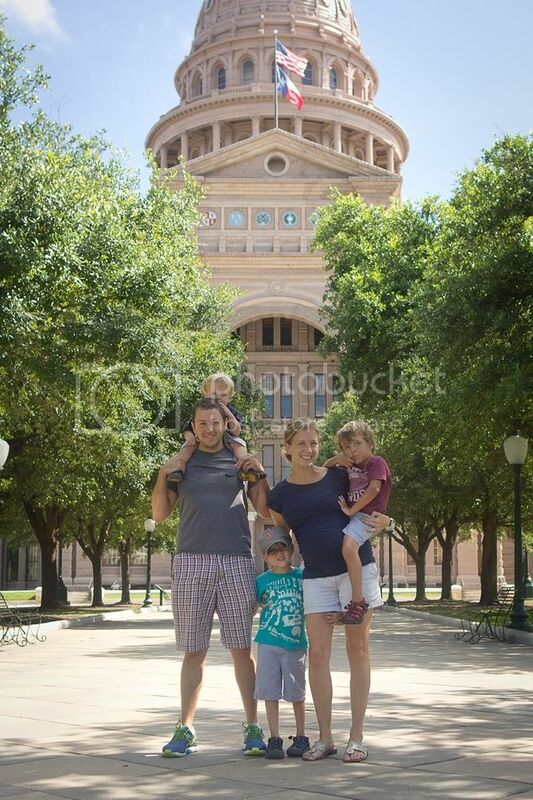 We took pictures at some possible special place at UT and the state capitol. That way if the boys grow up to go to UT or be in state politics, they'll have these important pictures from when they were little. Although it was VERY hot, so they were less than enthusiastic. Fun fact: the Texas State Capitol is 14 feet higher than the US Capitol. OF COURSE IT IS. A nice passerby offered to take a family picture of us--and it turned out really well! We're Texans now, y'all! Yeehaw! I think you missed attributing that quote about waiting in line for food to me. 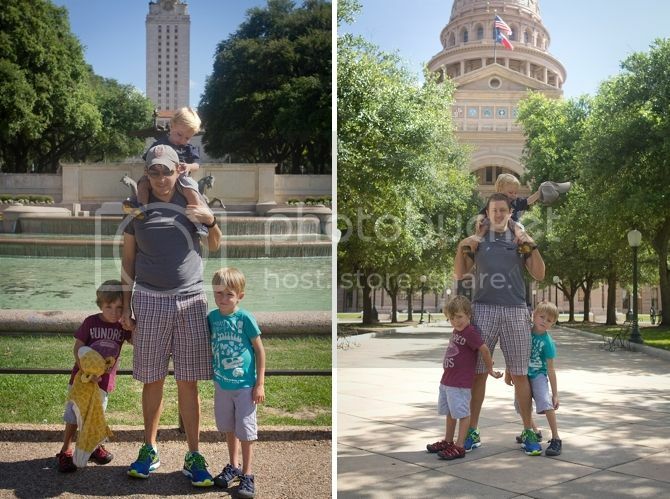 Also, I LOLed at your reason to take photos in front of the capital or at UT. Just in case. That family picture rocks. Yay stranger- and your cute fam!